Being pregnant is one of the most human, and at the same time one of the most extraordinary, experiences. It can be wonderful and confusing at the same time. The idea of giving birth and becoming a parent can be both exciting and scary. One thing is for sure, having a baby is life changing in many ways and coming across these physical, emotional and relational changes is not always easy. So how can you find some inner peace in the midst of all of this and on top of your busy schedule? Practicing mindfulness is a way to make room for all of your experiences. Mindfulness is opening to the present moment and to the way things really are. You observe your feelings, thoughts and emotions with a friendly attitude and without judging yourself or your experience. You can practice mindfulness through meditation, but also during your daily activities. By allowing yourself to be just as you are you can create space in your mind and heart to feel connected with yourself and your baby. Being mindful is a way of seeing clearly what you need and being able to take care of yourself. When we don't pay attention to our experiences we can easily continue all of our activities on auto pilot. In that way we might push our boundaries. Through mindfulness meditation you learn to listen to yourself and your needs. This course offers traditional mindfulness and self compassion practices combined with teachings about pregnancy and birth. 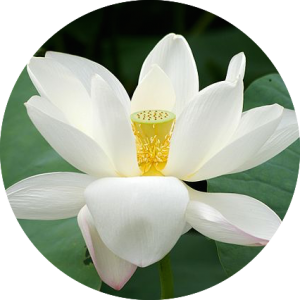 During the sessions we practice meditation by being mindful of the breath, the body, thoughts and feelings. Topics related to pregnancy and childbirth will be addressed, like how to take good care of yourself, how to deal with change, emotions and dealing with pain during the proces of giving birth. By calming the mind and being fully present in the moment, you're able to connect with yourself and your baby. • ​Relieve feelings of stress, anxiety and depression. • Help cope better with pain and anxiety in labor. • Help to enjoy and live in the moment. • Worry less and being able to relax more. Suitable for complete beginners, and at any stage of your pregnancy. The course consists of 5 lessons of 1:45 hour each on the following dates: Wednesday 10 o'clock on May 15th, 22nd, 29th & June 5th, 12th; at our Aalsmeerweg location. The cost for the whole course is €150 per person and space is limited so please book in advance. Contact us if you have any questions. 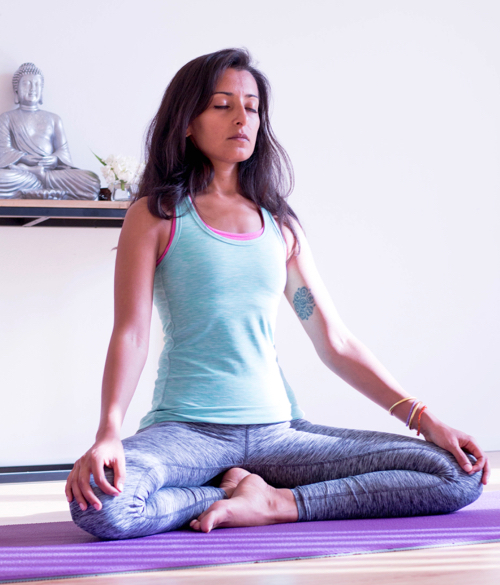 A combination of Yin yoga, Vinyasa Yoga and Pranayama with a continuous focus on the inside. The purpose is to slow down your whole being before the more intense yang part starts. Shifting the focus from the distractions in your everyday life to your inner world. Our busy lives and racing minds can send us spiralling in many directions. In fact, we have strayed so far from the simplicity of life that it has become easy to lose sight of our essence, our true nature. With Yin yoga we take the time to rediscover what it means to turn down the volume of our activities and become a little quieter. With Yang yoga we keep the focus on the inside while the body is moving and putting effort to stay in the poses. As always your yoga happens on the inside. The Yin part will be all about the liver & gallbladder meridians, which support hte body's natural digestive and detoxification functions. As nature enters a new cycle of growth & renewal in Spring, so does the energy within us. The liver is yin energy and the gallbladder is yang energy. Deepening the practice and activating these meridians by staying longer in the yin poses. There wil be options to turn the Yin poses into Restorative poses for those who wants to do & feel less. We will start the Yang part with a breathing exercize to activate the body. Followed by a good warming up and some sun salutations to start stretching the body. Breaking a sweat and releasing what doesn't serve you in a few vinyasa flows. Activating, stretching and twisting while keeping the breath slow and deep. Resting in savasana and ending the practice with a meditation. So let's shift the focus from the outside world to that universe that opens up inside us when we close our eyes. Making a journey within, uncovering more of the real you and being open to whatever comes up on this Saturday afternoon and whatever allow yourself to let go of whatever wants to be released.The goal is to have you leave the studio lighter than you enter. Sim started her first Vinyasa teacher training simply because she wanted to know more about yoga. After experiencing several different styles and workshops she really wanted to broaden her horizons. During this training she had to teach as well: something she didn't really want to do, but ended up liking it a lot! After that she went on to study Hatha yoga in India. Upon her return to Amsterdam so continued her study with yoga. She likes to teach now because she found it has been a very good way to get to know her own body, mind and spirit better. She teaches from the perspective that every body is different. One of her favorite quotes, from Bernie Clark, is "We don't use the body to get into the pose, we use the pose to get into the body”. The workshop will last about 2.5 hours and there will be tea and snacks with Sim at the end to answer any questions that you may have or just to get to know each other a bit better. It will cost €35 and space is limited so please sign in below. Pregnancy time is unique. Based on yoga and HypnoBirthing practices, you will come away from this workshop with a toolset that will support you during your pregnancy and your birthing day. 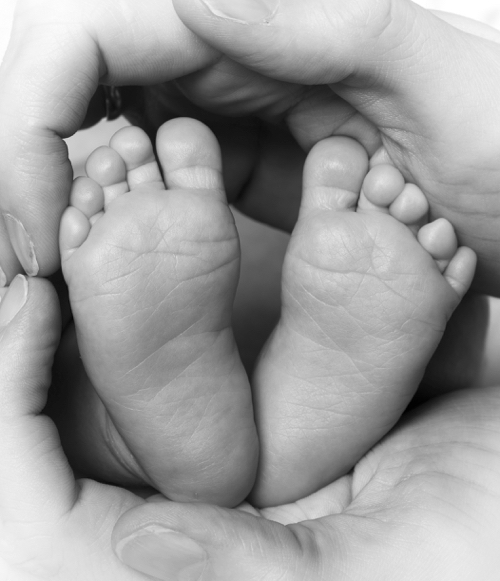 Kasia will take you through the journey of birthing in a way that allows you to summon your natural birthing instincts and to birth your baby in safety and with ease. This workshop is meant for all pregnant ladies. The content which we share is not only for labor, but also to help you during pregnancy, and sometimes even afterwards (e.g. calm breathing practice - great when we become anxious, during pregnancy, labor, or when our baby keeps us awake at night). 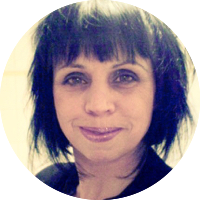 Kasia is a certified HypnoBirthing Practitioner, The Mongan Method, a trained Prenatal Yoga teacher with Birthlight, a mother of a lovely two-year-old girl and currently also being pregnant with her second child. Her yoga practice with combination of HypnoBirthing techniques was what helped her throughout her pregnancy, labor, and changes that came after. The impact of it was so amazing that she decided to share it with others. The workshop will last about three hours and there will be tea and snacks with Kasia at the end to answer any more questions that you may have or just to get to know each other a bit better. It will cost €35 and space is limited so please sign in below. Will 2019 bring renewed health and happiness? Will you do all you can to feel great and get yourself together mentally, physically and spiritually? New beginnings are beautiful as we let the past go and embrace the future. All aspects of your well-being depend on the smooth flow of energy. 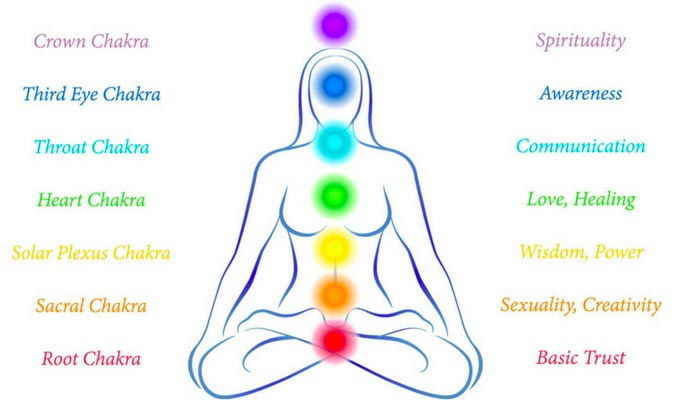 When unencumbered and spinning freely in the right direction, your chakras move energy between your personal field and the energy field of the universe. this workshop will help you apply your yoga practice to bring renewed awareness and balance to your energy body. Mary has been practicing yoga for over thirty years. She moved to Amsterdam after living in New York City as a technologist, artist and single mother of two. She attributes her yoga practice to her sustained energy, flexibility, and fearless spirit. With a love of active sports and road warrior travel, she relied on yoga for stamina, balance, and restoration. Her classes integrate the physical alignment of vinyasa flow with Hatha / Iyengar based asana and a spirit of playfulness. Her goal is to have students step off the mat refreshed, nourished and balanced. Join us for the full Ashtanga Yoga Primary series workshop to explore full benefits of the practice. Ashtanga yoga is a dynamic practice, a beautiful combination of breath and movement, which with time becomes almost like a moving meditation. It is complete, healing, and absolutely addictive. When practiced daily, it provides a mirror into ourselves, which may make us feel strong and powerful, or even humble at times. The Primary Series of Ashtanga Yoga is also known as Yoga Chikitsa. It is a yoga practice for everyone, not only for those who would like to do yoga to address a specific condition, but also for those in good health as it helps to maintain and revitalize the body at all levels. We will explore all the asanas from the Primary series and more..
• We will look at how bringing awareness to our breath and linking it with movement can create a very beneficial and healing effect for our body and mind. • You will learn how to can use the Primary Series to bring more strength, balance and flexibility to the body. • We will also look at key asanas of the series and learn some new ways to approach the postures that are most challenging to students. • We will then look at different techniques to help us experience the poses more deeply and truly feel their benefits, no matter what level of experience you are. Teaching has always been a passion of Mark's. Directly after high school he became a swimming instructor and spent a year teaching swimming at the local pool. Then during his military service he also taught in boot camp and now he teaches yoga. His life changed completely after being introduced to yoga and he couldn't be more grateful for it. As many have said before him, yoga is a way of life, and now it is his. Working on his personal and spiritual growth are his my main focuses in life; sharing his experiences and the tools to better oneself is the other. Nothing is better than seeing the progress you provoke in someone else and that is what he continues to strive to do through yoga. 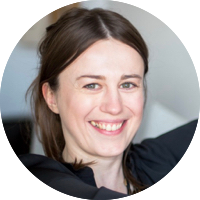 Kasia discovered yoga while working as a project manager in Amsterdam. She quickly got hooked, followed her first teacher training in Ashtanga in 2015 and started to share this beautiful practice with others herself. Coming to the mat every day is what brings her energy, grounds her and keeps her sane. It is also what helped her throughout her pregnancy, labor, and changes that came after. The impact of yoga on that life changing journey was so amazing that she decided to take Prenatal and HypnoBirthing Practitioner training, so she can share with others what gave her strength throughout that special time as well. The workshop will last about three hours and there will be tea and snacks with the teachers at the end to answer any more questions that you may have or just to get to know each other a bit better. Oriental belly dance is characterized by undulations of various parts of the body. To be able to master these moves it is important to develop core strength and flexibility. Pilates offers a great exercise repertoire to develop strong and long muscles, flexibility and more range of motion for the joints. In this workshop we will work both on basic pilates exercises as well as on belly dance moves. At the end you will learn a short choreography. You will be introduced to the 6 Pilates principles: centering, concentration, control, precision, breath and flow. You will experience how pilates exercises are executed with proper breathing, focus and core stability. A balanced development of the body can be realized through core strength, flexibility, alignment and awareness to support efficient and graceful movement. Gladys will lead you through a sequence of pilates mat exercises emphasizing proper breathing, core control and alignment. Both pilates and oriental bellydance are developed from the core and abdominals. The pilates exercises form the foundation to build your belly dance technique. 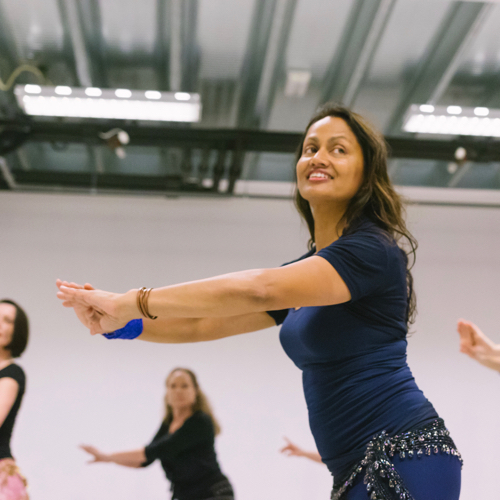 You will practice exercises that focus on key muscle groups for typical oriental belly dance moves. You will work on various undulations in the mid-section of the body, alignment and posture. Now we integrate the various techniques and learn an easy-to-follow choreography. Again we emphasize posture, core and alignment and a safe and healthy way of moving. No experience in pilates or belly dance is necessary. Both men and women are welcome. Gladys emphasizes movement with precision in a safe and intelligent way. Movement has always been a part of her daily life. 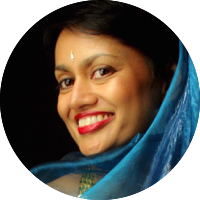 Gladys has a professional background in coaching, communications and oriental dance which contributes to her way of teaching. Each class ends with a body-mind exercise working on inner balance and mental relaxation. Her goal is to have students leave the class feeling relaxed and energized. The workshop will last about three hours and there will be tea and snacks with Gladys at the end to answer any more questions that you may have or just to get to know each other a bit better. This yin and tonic workshop is a mixture of yin yoga, massage and natural oils. Our purpose is to slow you down so you can spoil yourself with this trilogy including a loving, kindness 'tonic' designed especially for the purpose of this workshop. Our busy lives and racing minds can send us spiralling in many directions. In fact, we have strayed so far from the simplicity of life that it has become easy to lose sight of our essence, our true nature. With Yin yoga we take the time to rediscover what it means to turn down the volume of our activities and become a little quieter. This workshop is a journey within. During the workshop we will be targeting two meridians that will be stimulated using yin yoga poses and massage. Applying pressure to certain pressure points will increase the energy flow. 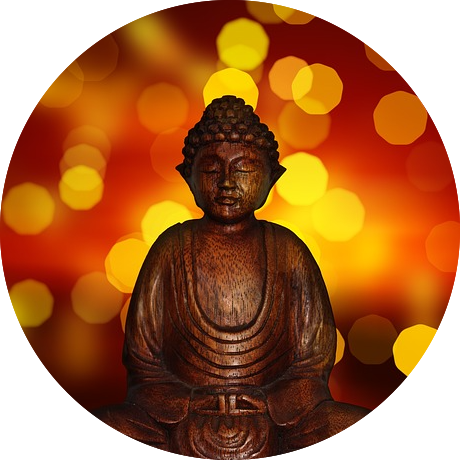 This stimulated energy, or prana, will help you to go even deeper into your body and mind unveiling that which no longer serves you in that moment, or at all. So let's shift the focus from the outside world to that universe that opens up inside us when we close our eyes. Making a journey within, uncovering more of the real you and being open to whatever comes up on this Saturday afternoon. The goal is to have you leave the studio as relaxed and light as possible. To achieve this, we will support you as much as possible in the poses. At the end of the workshop there is a long savasana with a face massage. Make sure not to wear much make-up or none at all. It will last about three hours and there will be tea and snacks with Sim and Katherine at the end to answer any questions that you may have or just to get to know each other a bit better. Katherine immersed herself and pursued Yin and Vinyasa yoga teacher training after spending a few years dealing with the collateral damage of a life-threatening illness. When the opportunity arose, Katherine packed up her bags and came to live in Amsterdam. This allowed her to create a comfortable balance in her life (something that she did not have while living in the US). While living in Amsterdam, she began to re-apply the Socratic principles that she had once studied. 'Know thyself' are two words that have challenged and changed Katherine’s views and habits about the deeper meaning of life. Her passion and desire to pass along and share this thirst for 'knowing oneself' to others so that they, too, reveal the innate power and wisdom is something that she cares about and has a deep devotion for. Do you ever try to practice at home and just stop after a few minutes because you don't know how to proceed? The goal of this workshop is to give you the tools to cultivate a home practice, with the aim of getting you on your mat more often and with more creative asana possibilities. It's not to suggest that you stop coming to class but instead it is aimed at students who are looking to practice and develop outside of class without having to scroll through YouTube for hours in order to find the perfect practice to follow. You don't have to be a teacher to create a nice flow and Alessandra is here to help you get started. In the workshop she will take you through the practice but with limited cues to help you better learn what comes next on your own or to help you better create the flow yourself. You will also go through basic sequencing and general rules to follow to make your personal practice experience more seamless and easy going. Come with questions and a notebook so that you can leave feeling ready to unroll your mat at home with confidence. It will last about three hours and there will be tea and snacks with Alessandra at the end to answer any more questions that you may have or just to get to know each other a bit better. 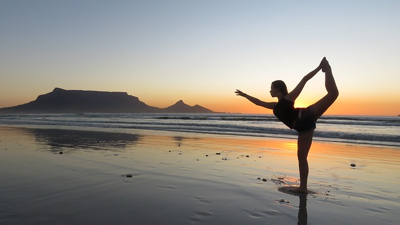 Alessandra took one vinyasa class four years ago and her interest was peaked. She had just started studying for her Master's degree and thought it would be a good way to manage stress and poor sleeping patterns. The combination of a great, caring teacher and the emphasis of connecting the movement to the breath left her feeling calmer and more at ease than she had ever felt. 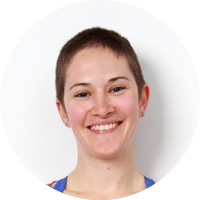 Enthusiastic to learn more, she traveled to India to complete a multi-style teacher training and truly dive deep into her practice. Her classes focus on moving mindfully with the breath, whilst still having some fun and not taking it too seriously. She appreciates the beauty (and also the challenge) of remaining equanimous as well as the non-competitive nature of yoga. We all over do it a bit during the holiday season and lose our usual habits and rhythm. After the new year it's nice to kick start our bodies to help get through the rest of winter and break ourselves out of the slow pace of the holidays. Mark has put together a special workshop just for that. A supple spine equates to a long and healthy life. By maintaining the spine's flexibility, circulation is increased and the nerves get the appropriate supply of nutrients and oxygen they need. When the spine loses its viscosity, the body loses energy, causing us to feel fatigued and lethargic. The winter darkness doesn't help either. In the workshop students will be provided with a solid understanding of the functionality of the spine before going through various warming up exercises. You will also experience how breath and movement affect the mobility of the spine through asanas like the upward facing dog, camel, bow and wheel. The focus will be on backbends but there will be some twists in there too. Mark will also introduce you to the kriyas, yogic cleansing and purifying exercises taken from the Yoga Pradeepika. These exercises make the body cleaner and stronger while removing toxins and improving overall health and well being. The goal is not only to shake you out of your winter slump but also to give you something to take with you to continue developing your own personal practice. It will last about three hours and there will be tea and snacks with Mark at the end to answer any more questions that you may have or just to get to know each other a bit better. Breathing is a fundamental part of life and most of us aren't aware that we are doing it wrong. On top of that, our minds seem to take control of our lives, leading to unnecessary stress and loss of energy. 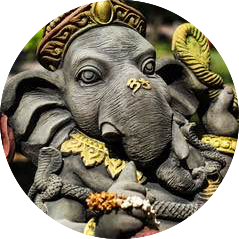 In this weekend we will explore deepening the breath through in depth pranayam and breathing exercises. We will also focus on how the breath effects the mind by implementing different meditation styles and techniques that you can use in your daily life. By doing this intensely you will experience the effects immediately and this will make it much easier to continue your own practice in the future. This weekend is part of the 200 Hour Yoga Intensive Course but is open to anyone who is interested. Introduction to mediation and pranayama and a brief chat so we can get acquatied with each other. Followed by a brief meditation together. We will discuss what pranayama is, how it effects our bodies and minds and more so, our meditative state. We will do simple breathing exercises together and each one will be followed by meditation. Both days will be a combination of learning and practicing a new pranayama technique followed by another meditation. There will be a short break in the middle of each afternoon with tea and fruit. The goal is to expose you to a new way to approach your breath and mind to be implemented in your yoga practice and your daily life. Plus an extended focus on pranayama and meditation is extremely settling to the mind. Jason has been on the yoga path for two decades now. His interest started with meditation when he was a teenager which led him to his own self created yoga practice at home. Not happy with what he found in books he decided to go to India and study at the source. There the real inward journey began. Knowing that not everyone is on a spiritual path, but everyone can benefit from yoga, he decided to create a space where yoga is made accessible for everyone. No dogma, just yoga. We are all free to find what we need from yoga whether its relief from stress or pain or just a way to ease your mind. Jason also offers Yoga Therapy and Inspirational Life Coaching. If you want to go further, all you need to do is ask. Otherwise, just enjoy the mat. The total price for this 13 hours workshop is € 125. It can be very challenging to cope in the Western world nowadays. We have a lot of pressure and responsibilities, work, family life, social activities, keeping a healthy body and the list goes on and on. Due to all this a lot of people suffer from many kinds of stress related problems such as high blood pressure, anxiety and depression. We must find a way to create a sense of balance back in ourselves and our lives. In this workshop we will be looking at how the physical body reacts to all sorts of stress factors that we have to deal with on a daily basis. What happens to your physiology? What sort of existing stress do we already have and how can we limit those factors with Eastern techniques? Those are the questions we will answer. With a background in personal training and coaching, Menieke's approach to Yoga is one that encourages the synchronicity between body, mind and breath. Since 2007, the practice of yoga has given her the opportunity to learn and work with inspiring teachers throughout Europe, Asia and Africa. After traveling and studying in these places for over a year she decided to come back to Amsterdam to teach. Inspired by Buddhism and the 8 limbs of Yoga, her classes are characterized by exploring and observing without any judgement. “You do not use the body to get into the pose, you use the pose to get into your body." we can learn to recover from stress, stay healthy and full of energy. ● how to relax yourself and help to relax the others. ● you work a lot. ● Feldenkrais method - “awareness through movement”- by slow and gentle moves, these exercises allow the nervous system to learn more efficient habits of movement and posture. ● Craniosacral therapy - ¨hands-on method¨ - using gentle touch you can help others to relieve the symptoms of stress or tension. ● Yoga nidra - following guided relaxation you get into a state of consciousness between waking and sleeping. ● Jacobson’s relaxation technique focuses on tightening and relaxing specific muscle groups in sequence. Nataliia is certified in ayurveda and many styles of yoga, truly incorporating the yogic lifestyle into her own. 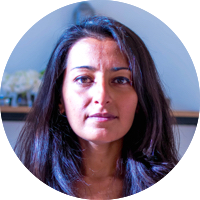 She began studying in 2002 and has worked in India, Tibet, Turkey and the Ukraine. Now we are happy to have her here in Amsterdam. She incorporates her broad range of knowledge and experience into her lessons because she finds joy in helping others discover what yoga has done for her and what it can do for them too. Are you curious about Ashtanga Yoga? Would you like to experience the physical and mental benefits and learn more about Yoga philosophy? Join Tina & Zoë for this introductory, yet immersive, workshop. Ashtanga Yoga is a very powerful, popular and proven method of practicing Yoga. It involves synchronizing the breath with a progressive series of postures that produce intense internal heat and a purifying sweat that in turn detoxifies muscles and organs. The result is improved circulation, a light and strong body, and a calm mind. • Ashtanga Yoga as taught by Pattabhi Jois, including ujjayi (breath), bandhas (energy locks) and dristi (gaze/focus). • The meaning of Ashtanga and it's “eight limbs” as described in Patanjali's Yoga Sutras (Yoga Philosophy). • The Primary Series, a series of postures, linking breath with movement. Also referred to as Yoga Therapy for its purifying and healing effect on the body. Exploring the breath; freeing the diaphragm and experincing powerful ujjayi breath. Mysterious bandhas and dristi: what are this energy locks and how to access them. Asana practice; Led half primary series with in depth explanation of individual asana. Putting into practice what we experienced in the first hour of workshop. Short introduction/discussion of basic principles of yogic philosophy; eight limbs of Ashtanga yoga. Tina discovered her love for yoga in her home country Croatia, back in 2007. Once she started it was immediately clear to her that this was the real thing. She gave herself to her practice and her thirst for knowledge grew intensely. Since 2014 she has dedicated her life to the practice, both as a student and a teacher. She truly enjoys sharing her love and experience of yoga with others. This is something she does from the heart and through which she hopes to inspire her students to start their own inner journey, on and off the mat. Zoë's personal yoga path started in 1999, studying various yoga styles such as Hatha, Bikram and Ashtanga Yoga with different teachers ever since. Currently Zoë is taking her yoga experience and knowledge even further into the study of Ayurveda. With a corporate background and as a mom of four, she has found that yoga helps to keep her healthy and balanced and she wants to share this balance with you. During her classes Zoë creates a safe space to move inward and recharge. Her teaching style is methodical as well as nurturing. Born in South Africa, she lives in Amsterdam with her family where she loves to be on the water paddle boarding or windsurfing. Come experience something different in the yoga world. 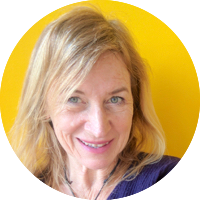 This very special three hour workshop with special guest Bev Porino, visiting us from Dublin, will introduce you to a whole new way of connecting to your body. This fun and interactive workshop will explore yoga practice through a concept called, Be Activated. We'll work on releasing hamstrings, and calf muscles and awaken and re-balance muscles to enable you to move through your yoga practice with ease and with grace. Be-Activated is a revolutionary approach to correcting musculoskeletal imbalances. It's a simple, effective and measurable method of addressing pain, improving performance and restoring balance and is an empowering tool for everyone. It can be used to enhance any activity and now I've combined the concept with yoga. Once a body is activated the result is instant. Muscles return to their normal length and function, people report that they move easier, feel lighter and are more open and connected, which is exactly what we are looking for in our yoga practice. • In the first hour Bev and Jason will assess students through a series of Kinetic tests, the purpose is to demonstrate how the muscles in our bodies sometime become confused resulting in tightness, compensation patterns, low energy and can lead to injury. • The second part of the workshop is a 90 minute Vinyasa Yoga class starting with Pranayama, then a Gentle Flow of postures building to stronger and more dynamic positions. • The Workshop will end with 30 minutes of meditation and guided relaxation. Bev teaches Hatha, Vinyasa and Ashtanga yoga. She has a particular interest in the science of breath and how it affects our well-being. 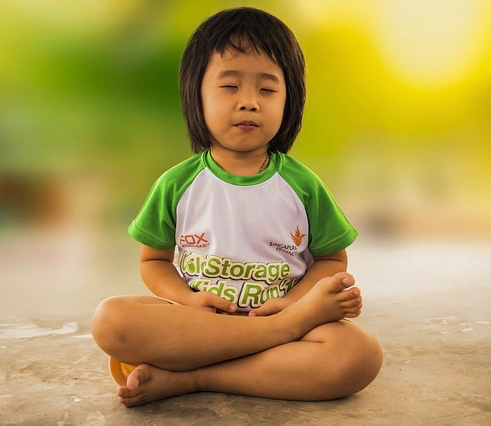 Her playful nature encourages students to explore themselves through breath, movement and reconnecting with themselves. Bev lives in Dublin, Ireland where she studies Neuromuscular Therapy and myofascial release and Be Activated - Muscle Activation Techniques. After struggling with a long-term hip and shoulder injury Bev met a South African Therapist called Douglas Heel. Through his Be Activated techniques, Douglas taught her how to rebalance and release her muscles and helped her to reconnect with her mind and body. Since then, she has teamed the concept with her yoga practice and teachings and incorporates Be Activated, muscle activation and release techniques into her classes and daily life. 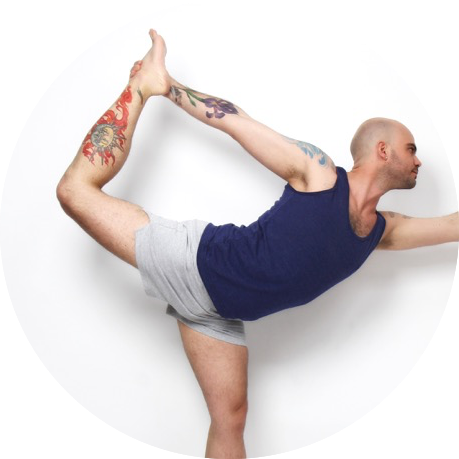 Jason studied both vinyasa and hatha yoga extensively in India and California. He has a DVD, You Can Yoga, available in the US, UK, Canada and you can also find it locally at the American Book Center and De Roos in Vondel Park. 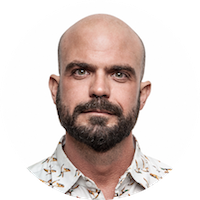 After more than a decade teaching at yoga studios, gyms, retreat centers, businesses and privately coaching students one on one in San Francisco and in Amsterdam he decided to start these centers in his neighborhood. His approach is very simple, yoga should be made accessible to everyone. No pressure, no attitude, no dogma and this also holds true for the approach to yoga at the studios themselves. You can Just Breathe with Menieke or explore Hip Hop & Hips with Gretchen! The hips can be tough to access, full of tension and sensation. It's said that we store our emotions in our hips and we definitely store tension and tightness there from sitting, walking and cycling. 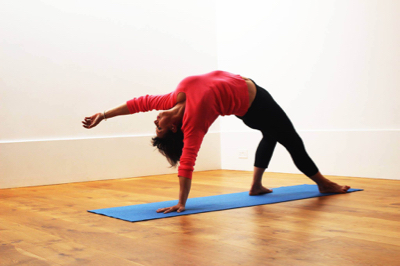 This class will dig deep into the hips, creating fluidity, openness and mobility. To to keep us inspired, moving and grooving we will flow along to an all Hip Hop playlist. Body, mind and breath are all connected and when the mind is stressed, so are the body and the breath. By working with the breath in several asanas we can start releasing symptoms of daily stress and anxiety. In this class Menieke will show you the beauty of breath synchronicity and how all three components of your body work together and influence each other. 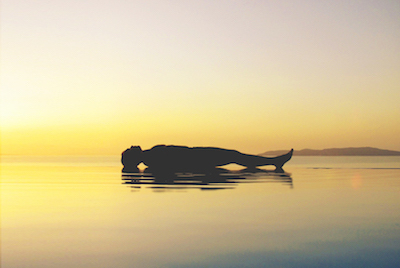 Experience the powerful practice that induces a complete state of physical, mental and emotional relaxation. Access the borderline state between wakefulness and sleep to receive the benefits of meditation without trying to still the mind. Release unwanted habits, tension and self-limiting beliefs. Yoga nidra or yogic sleep is a state of consciousness between waking and sleeping, like the "going-to-sleep" stage. It is a state in which the body is completely relaxed, and the practitioner becomes systematically and increasingly aware of the inner world by following a set of instructions. This state of consciousness (yoga nidra) is different to meditation in which concentration on a single focus is required. In yoga nidra the practitioner remains in a state where his senses are internalized, that is, withdrawn, and only the hearing still connects to the instructions. Yoga nidra is among the deepest possible states of relaxation while still maintaining full consciousness. The practice of yoga nidra has been found to reduce tension and anxiety. The autonomic symptoms of high anxiety such as headache, giddiness, chest pain, palpitations, sweating and abdominal pain respond well. It has been used to help soldiers from war cope with posttraumatic stress disorder (PTSD). They say one hour of yoga nidra is the same as 4 hours of sleep.